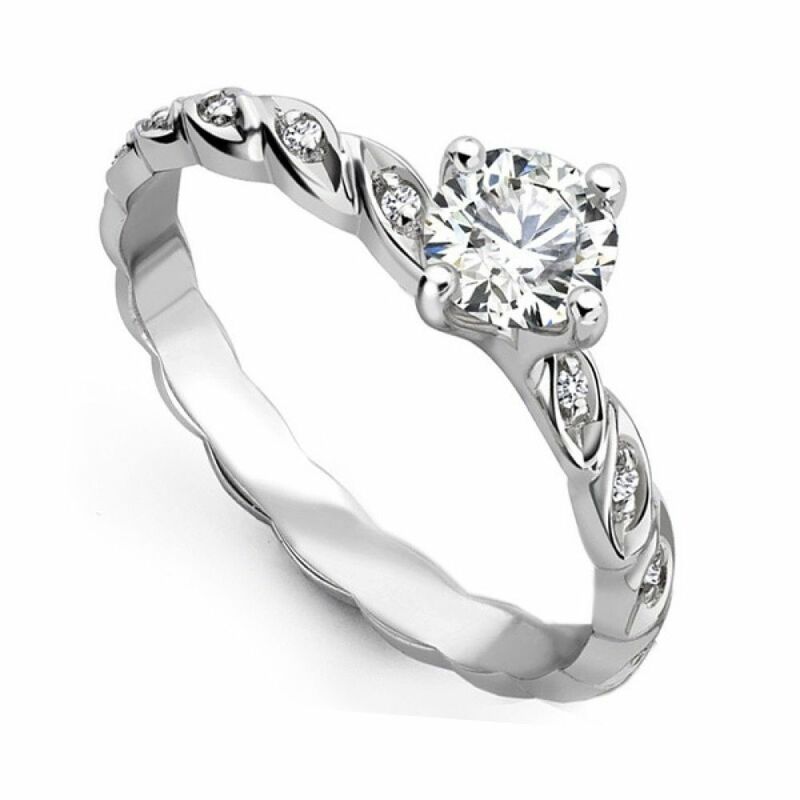 Unique four claw Entwine diamond engagement ring with fully diamond set band. Providing a romantic feel to this design, a 0.25ct Central Round Brilliant cut Diamond captures your eye, then follows down into the entwined shoulders, all the way around the band, which holds a further 0.25cts. Created in 18ct White Gold, and in a finger size M, the Diamonds have been graded G Colour and SI1 Clarity. Available for immediate dispatch, your ring can be with you with Next Day Delivery (within the UK), and with you in just a few days if you live internationally. Presented in our bespoke packaging, your ring will be delivered straight to your door by a secure courier.